Situated on the banks of the Perfume River, just 7km from the city center Hue, Thuy Bieu is a peaceful place to stop off. 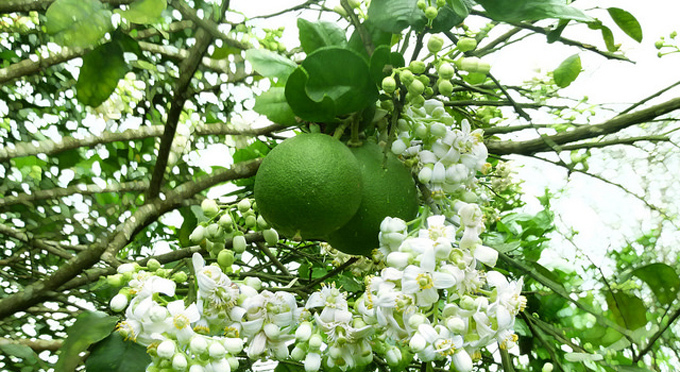 You will be attracted by Vietnamese rural simplicity, created by the green color of "thanh tra" (Marian plum), vegetable plantations and hidden houses in large, lush gardens under the trees shade. 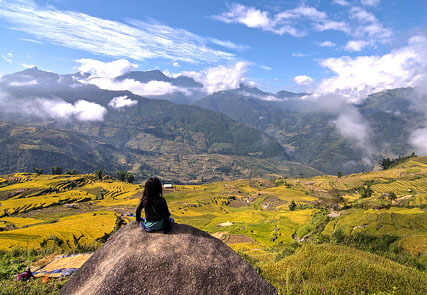 Nature and human being seem to live there in harmony for centuries. 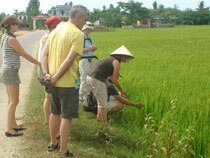 In Thuy Bieu village, you will meet warm and open inhabitants who live on rice cultivation, gardening and handicraft manufacturing. They are willing to show you their house, which promises interesting discovery of their local life. 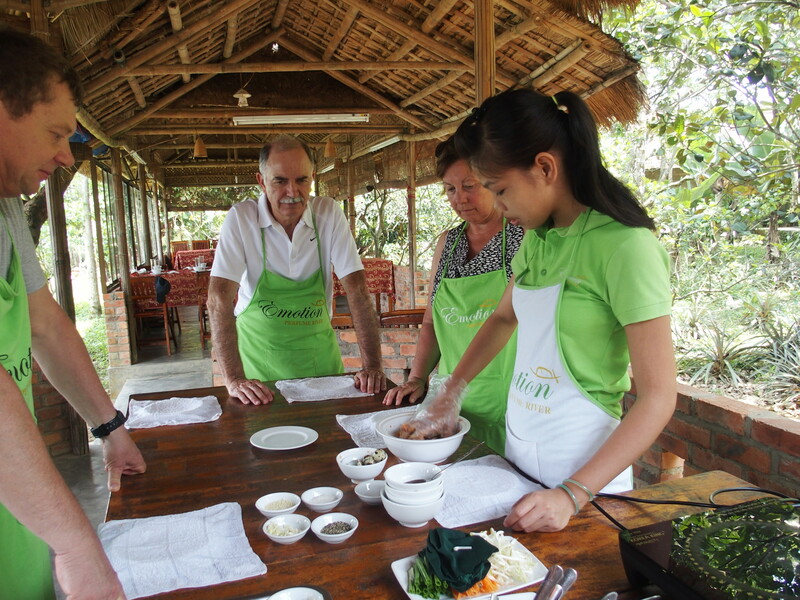 Hue is called "gastronomic capital" of Vietnam, this region has a rich culinary heritage. 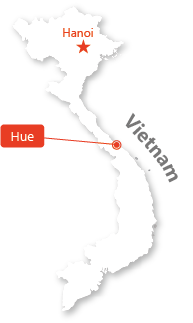 The cuisine of Hue reflects the rice culture, with noodle made from sticky rice, regional products and natural flavors. 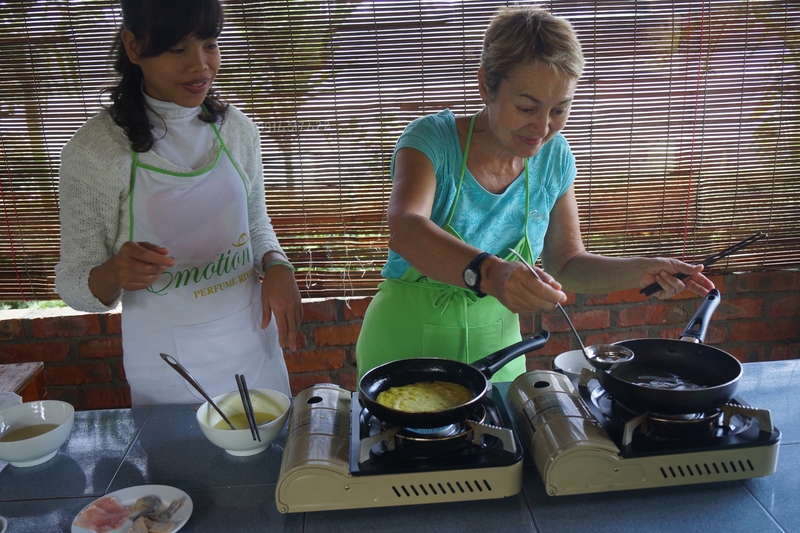 In order to satisfy the taste of travelers through Hue cuisine, Asiatica Travel is one of the few local agencies offering a cooking class in Thuy Bieu village. 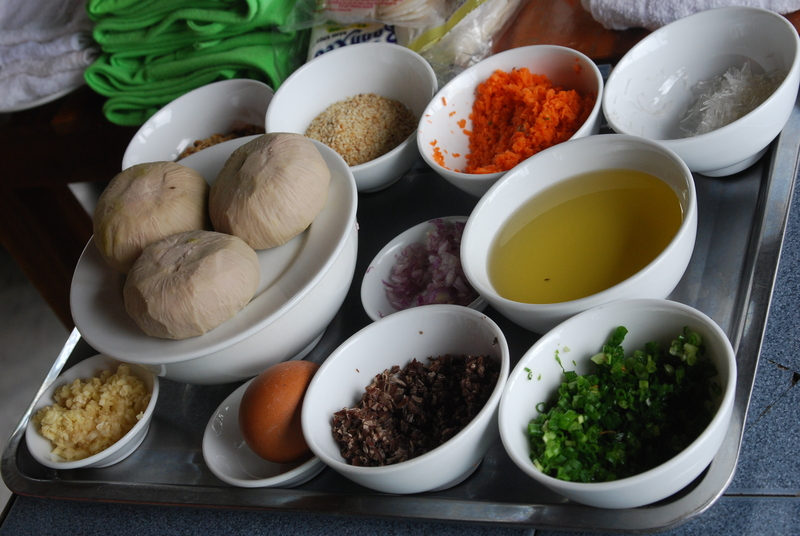 The class starts with buying the ingredients at the market. 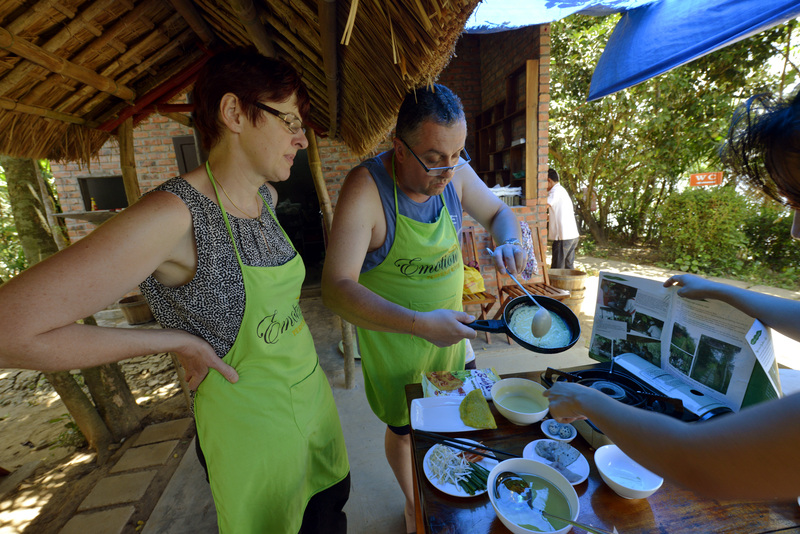 Then, the chef will teach the traveler how to combine and prepare them. 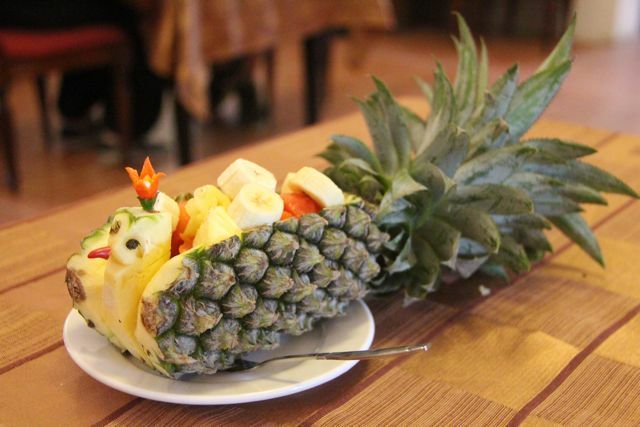 Experience this fun and tasteful experience through Hue dishes. 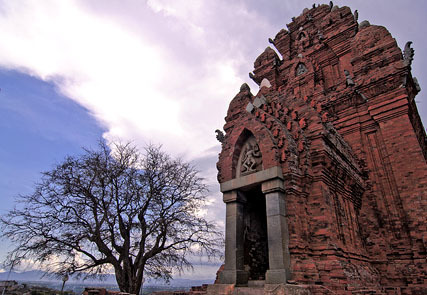 - Visit temples and pagodas or Ho Quyen arena, built in 1930 under the reign of King Minh Mang (1820-1841), reserved for fighting between elephants and tigers. 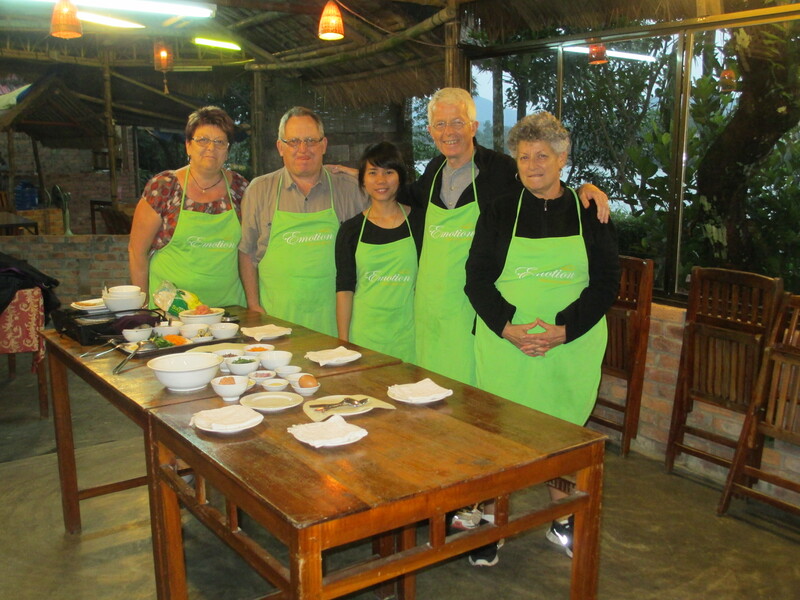 - Participate in agricultural activities (planting vegetables) and become a true Vietnamese gardener on the banks of the river. - Rest after a day's walk with a foot bath and medicinal plants to recharge.